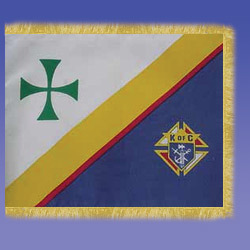 K of C Flags - Inside Use - Fringed. Beautifully screened 3' x 5' K of C flags in full color. 100% durable nylon.